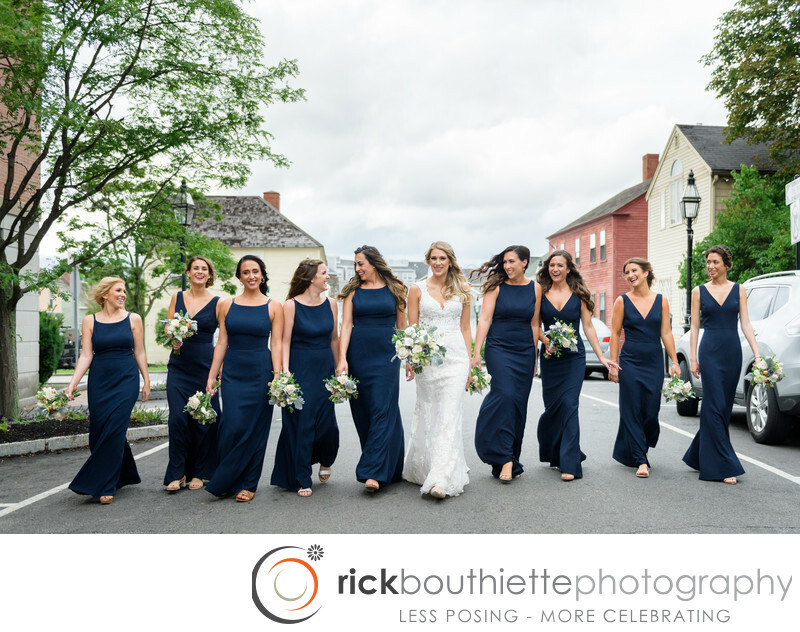 After Lauren and her bridesmaids finished getting ready for her Seacoast Science Center wedding, they headed for the trolley that would take them to the venue. Once outside, they decided to take a short walk down the streets of downtown Portsmouth first. It's amazing how a group of beautiful women can take over the street, stopping traffic as they walked and talked about the day ahead of them.